As busy as we have been cleaning, washing and valeting your cars, we thought it was about time to give our web site a makeover too! 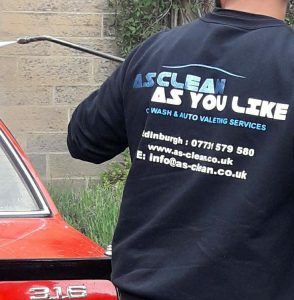 The aim has been to provide you with easy to find information about our valeting services in Edinburgh. Also, to make it easy to book a valeting service or contact us online. We hope the new web site appeals – drop us a note to let us know what you think! We are open 7 days a week and valet in Edinburgh and surrounding areas. We work from 8AM till late. During Summer months, we can offer evening car valets due to longer days. During Autumn/Winter months, Car Valets are possible at our fully equipped Valeting unit after 4pm.